​"We are what we repeatedly do. Excellence, then, is not an act, but a habit." Born and raised in Nebraska, Val's a Cornhusker at heart! After graduating from the University of Nebraska-Lincoln, she went on to complete both her Master of Science degree in nutrition and dietetic internship at the University of Minnesota. She is Board Certified as a Specialist in Sports Dietetics; certified by the North American Menopause Society; and, has received a certificate of training in adult weight management. Val has over a decade of experience treating all types of eating disorders while also specializing in sports nutrition, menopause, and women’s health. Prior to establishing her private practice, she worked as a clinical dietitian in the treatment of eating disorders. In addition to her role as a lead clinical dietitian, she implemented and coordinated The University of Minnesota-The Emily Program Dietetic Internship program, the first ACEND accredited eating disorder dietetic internship in the country. 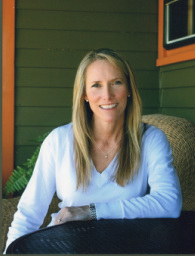 Although her practice has expanded to provide comprehensive nutrition services to individuals beyond those struggling with eating disorders, Val is passionate about eating disorder prevention and providing nutrition care to populations vulnerable to pathological eating problems, most notably with athletes and midlife women. She has worked as the consulting dietitian for the University of Minnesota Women’s Gymnastics team and has provided nutrition consulting and presentations for numerous dance, figure skating, gymnastics, and other sport organizations including the Minnesota Dance Medicine Foundation, the Wisconsin Association of Cheer/Pom Coaches and Just for Kix, a company providing dance programs in thirteen states. Val speaks regularly on numerous nutrition-related topics to organizations, schools, businesses, teams and sporting groups, including Buffalo Wild Wings corporate wellness program; collaborating with nationally recognized Registered Dietitian, Joy Bauer, and the nutrition team from Woman’s Day magazine on their 2015-16 Live Longer and Stronger Heart Health Challenge; leading a nutrition round-table for the North American Menopause Society annual conference; and presentations for the Minnesota Academy of Nutrition and Dietetics, as well as at the Minnesota School Nutrition Association and the International Association for Dance Medicine & Science annual conferences. Her work has recently been published in The Women’s Health Report, a publication of the Women’s Health Dietetic Practice Group and previously in Woman’s Day magazine, The Pulse, a publication of the Sports, Cardiovascular and Wellness Nutrition (SCAN) Practice Group; and, she enjoys contributing nutrition articles regularly for Midwest Events Magazine, as well as enlightening readers with her Blog, and monthly e-newsletter. Val is an active member of the Academy of Nutrition and Dietetics, previously serving as the education co-chair for the Minnesota Academy of Nutrition and Dietetics. She currently serves on the executive committee for the Women’s Health dietetic practice group and is active in SCAN (Sports, Cardiovascular and Wellness Nutrition), and Nutrition Entrepreneurs practice groups. She is a member of the Academy of Eating Disorders, Eating Disorder Information Network, International Association of Eating Disorder Professionals, North American Menopause Society, and the Collegiate and Professional Sports Dietetics Association. Val also serves the local and national dance community as an active member of the Minnesota Dance Medicine Foundation, and the International Association for Dance Medicine and Science. Val balances her time by living what she teaches—eating intuitively and staying active by enjoying golf, cycling, hiking, and weight lifting. She has been active with her church and faith, leading lively women’s Bible Study groups and children’s ministry for over a decade. Her greatest joy and passion is her four kids and is grateful they have grown up enjoying all types of food and cooking, while having a healthy relationship with their body. Her other passion is to help women, especially those in midlife and beyond, live a life where they feel free to embrace their best unique self and confidently dismiss cultural messages of beauty and success.